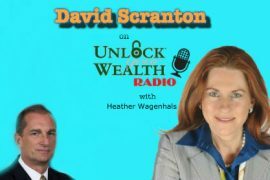 David Scranton, CEO and Founder of “Sound Income Strategies” joins Heather Wagenhals host of on Unlock Your Wealth Radio to discuss the market volatility and his new book, “Return On Principle”. Tune in to this interview as David reveals how to maximize your retirement and focus on income while mastering the “inside game” which is armed with a fresh perspective of 200 years of stock market history tied to the exact lifecycle of the average investor. As the majority of investment books today deal strictly with the external strategies to help you maximize your retirement, David’s book teaches you how to master “the inside game” including how to hire the best advisor for you at this point in your life. Fact: Since 2000, Americans saving for retirement have seen their nest-eggs decimated by two catastrophic stock market crashes, and the biggest financial crisis in the U.S. since the Great Depression. 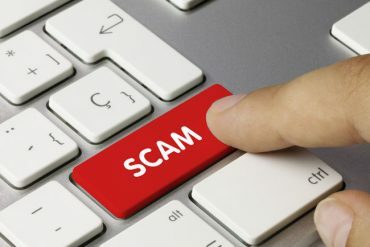 With the global economy still in turmoil and the potential for another market crash on the near horizon, today’s generation of retirees and near-retirees can’t afford to rely on outdated, stock market-based savings and investment strategies that put them at high risk for damaging losses. 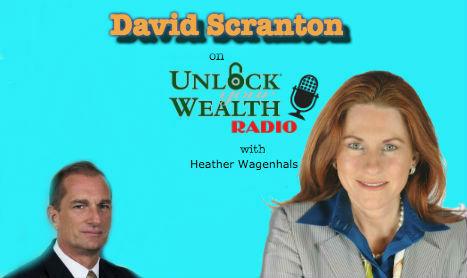 Tune in to learn more from David Scranton about retirement options and your financial future.